The hanging Multi-Lane merchandise supports are available with electrical power for optional lighting. They offer a flexible layout that can be modified at any time without tools. The ceiling profile can simultaneously house merchandise supports with a low voltage power supply (24 V) and ceiling lamps (230 V). 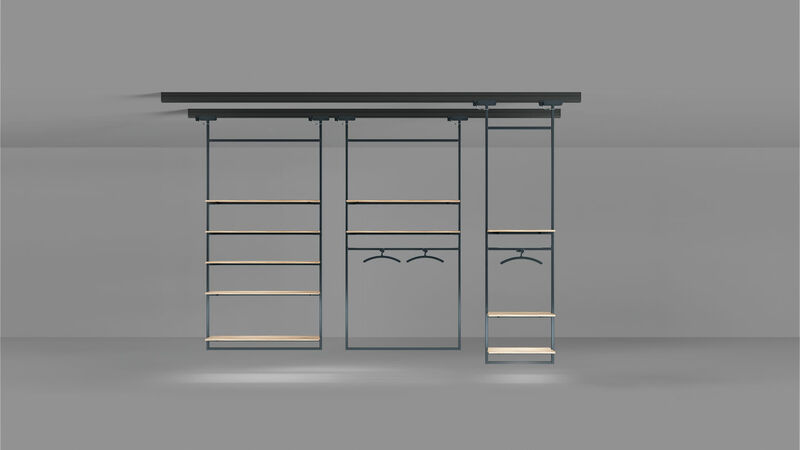 This dual function simplifies planning and allows a flexible use of space. 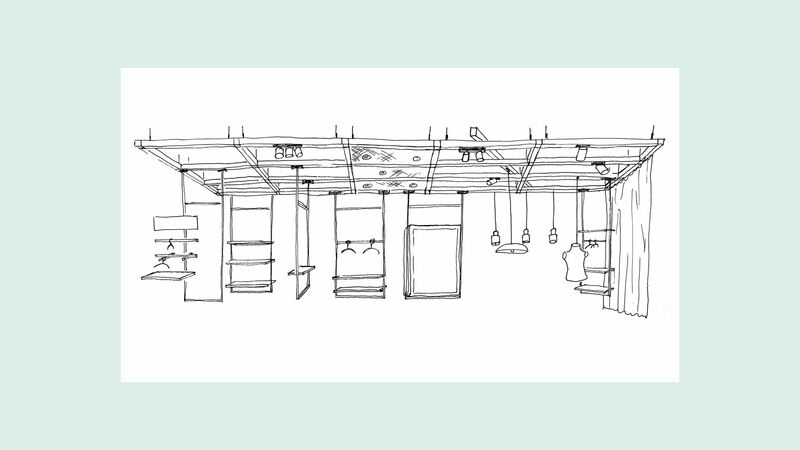 Retail spaces can be reconfigured at any time: adapted to sales needs during the day and in-store customer events in the evening. 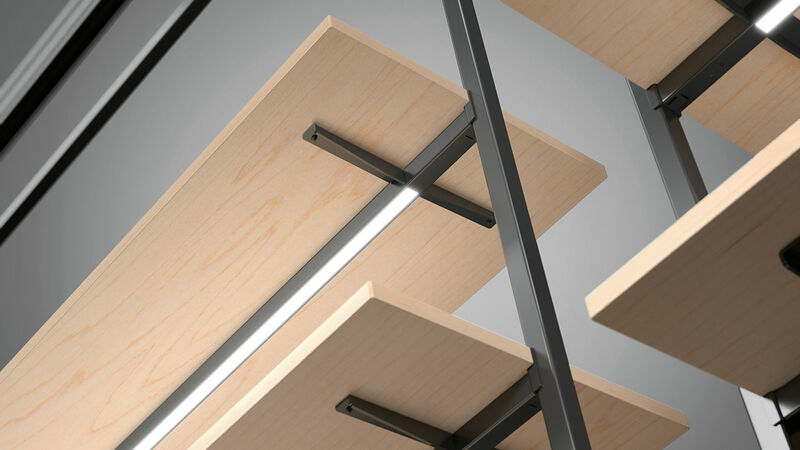 Shelves can be fitted at different heights without tools. 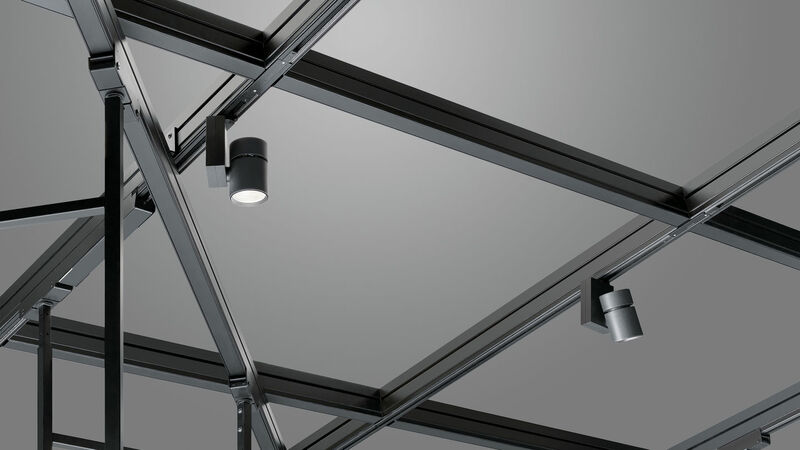 Electrical power is available in the multifunctional ceiling profile. The ceiling profile can simultaneously house merchandise supports with a low voltage power supply (24 V) and ceiling lamps (230 V).